The Make Up For Ever Artist Palette Volume 4 is the newest and completely matte addition Artist Palette collection. The Artist Palette Volume 4 retails for $44 USD/ $52 CAD). It includes 9 matte shades at .04oz each. 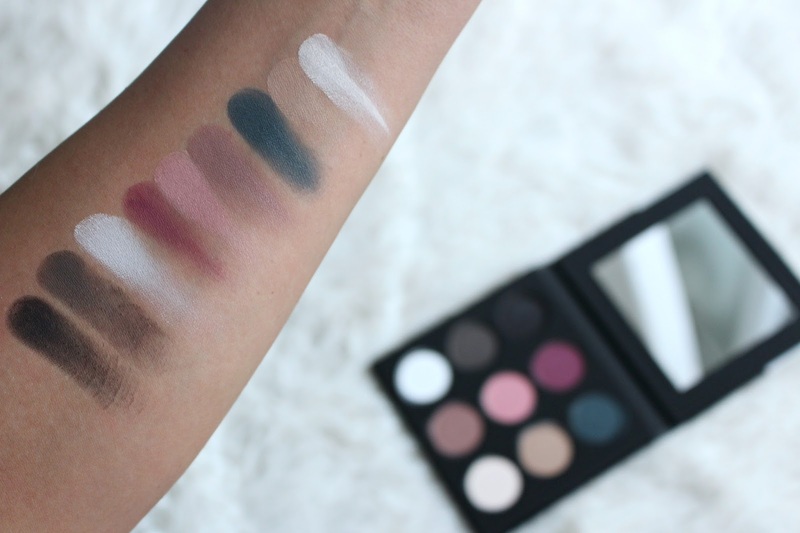 If you'd like to see the palette in action I'm wearing it in my recent October Favourites Video. 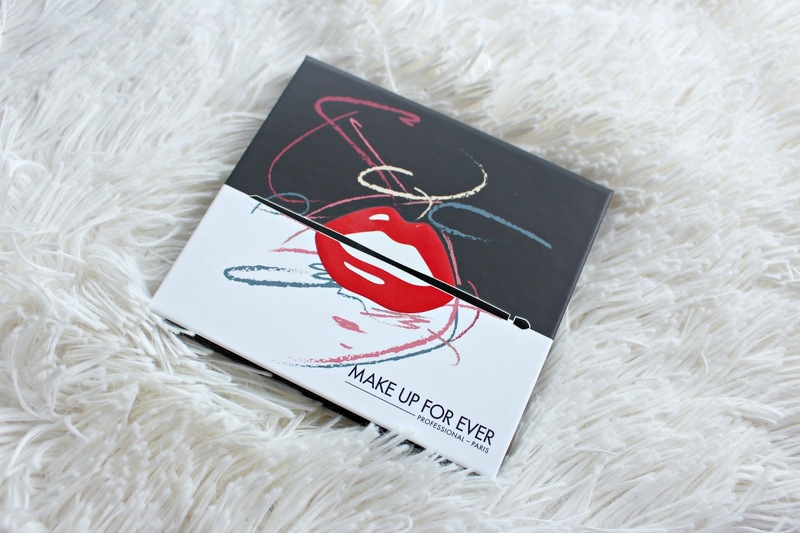 The packaging is slim and sleek, as to be expected from Make Up For Ever. It's all created with makeup artists in mind but as someone with a lot of palettes I appreciate the little room it takes up. Makes it great for travel too! Make Up For Ever created this palette to create dimension and sculpt the eyes to enhance the shape. They mention that in front of the camera matte shades are the most important, and this palette should give you everything you need. As mentioned, there are 9 matte shades that have been curated to be used in trios but of course you can play around as much as you want. There is a cool black smokey trio, a warmer wine trio and a neutral trio with a pop of teal. Black (M-100), Grey Brown (M-620), Chalk (M-126), Wine (M-842), Antique Pink (M-806), Dark Purple Taupe (M-546), Prussian Blue (M-240), Milk Tea (M-536) and Eggshell (M-530). As to be expected the formula is spot on. Make Up For Ever knows how to make an eyeshadow. Mattes can be hard to blend, dry and patchy but this is not the case. They distribute just enough pigment, can be softly applied or built up to full colour. I did not experience any major fall out and there was very little powder kick up. It is a soft formula without feeling like it is too fragile. 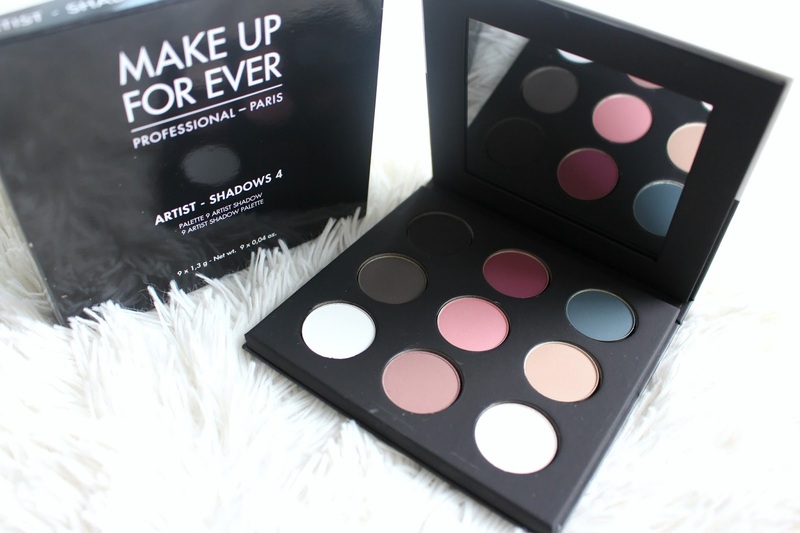 The Make Up For Ever Artist Palette Volume 4 is dud free. Every shadow is a consistent formula and texture. For me, it is definitely an interesting combination of shades, and slightly more cool toned than what I would normally go for. That being said any pink or burgundy will sell me on a palette. It has crease shades, brow bone highlight, shades to deepen and some pops of colour. I could not resist using the middle trio, Wine, Antique Pink , Dark Purple Taupe with some Eggshell on the brow bone and Prussian Blue (M-240) on the lower lash line. I'm also wearing the Make Up For Ever Pro Light Fusion Highlight Golden which I have also reviewed. This looks like a great palette! I love that they're designed to be used as trios but can also be used anyway. Yah me too!! The middle shades are my fave!